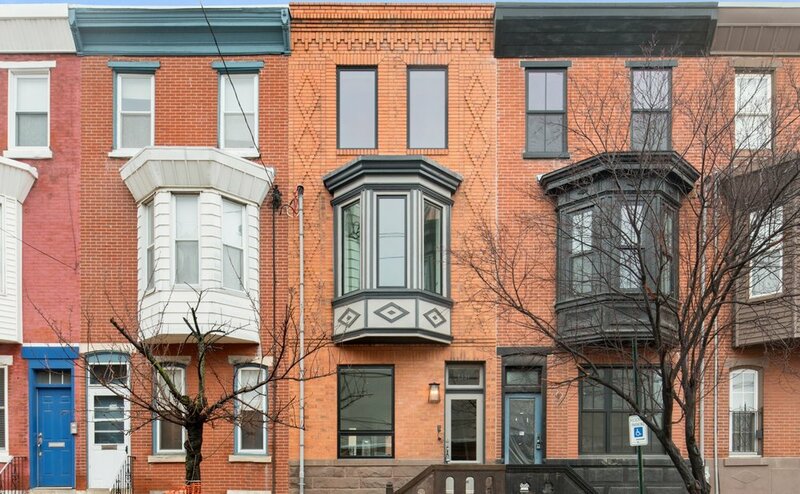 Presenting 1331 Wharton Street, one of Philadelphia's finest examples of a beautifully restored facade married with a sleek and modern interior situated in the heart of Passyunk Square, a neighborhood immersed in culture, dining and history. 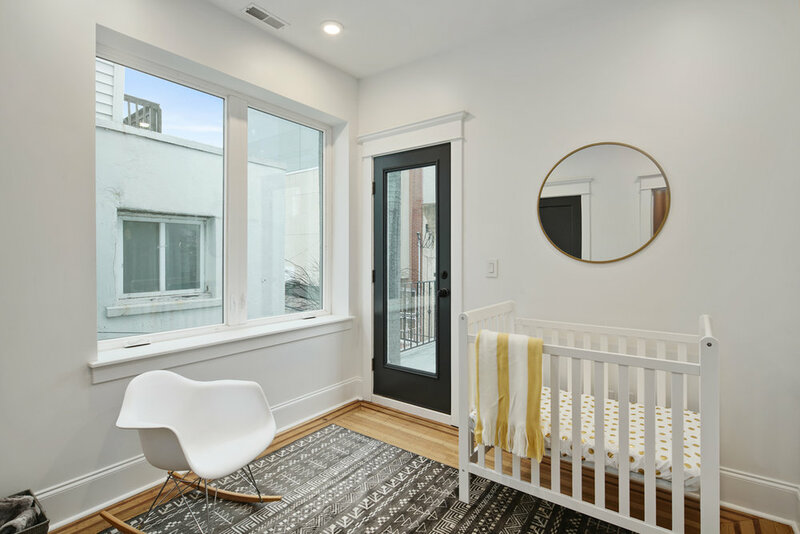 Built in 1920, this 3-story building has the curb appeal coveted by lovers of urban architecture: rich brownstone and buff iron-spot brick in a diaper-work pattern coupled with a newly painted second floor bay and a front door transom. 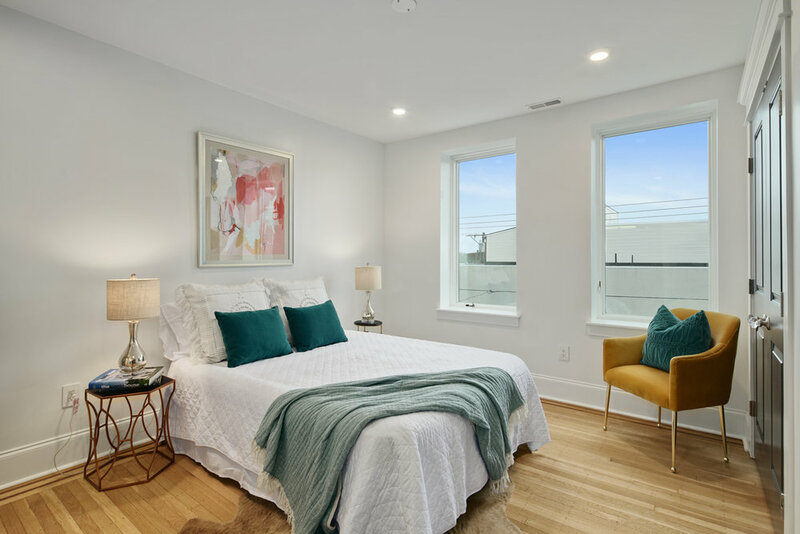 Once inside, the home dazzles with open, sun-drenched spaces and offers classic simplicity, design-sensitive renovations and classic vintage restorations. 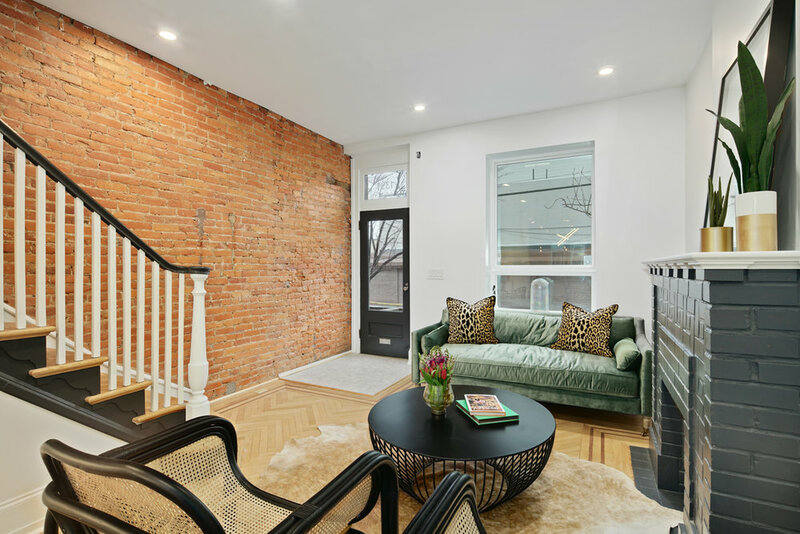 Every detail is considered from the solid wood two-panel painted interior doors with original crystal glass doorknobs to the carefully restored grand staircase and exposed brick. 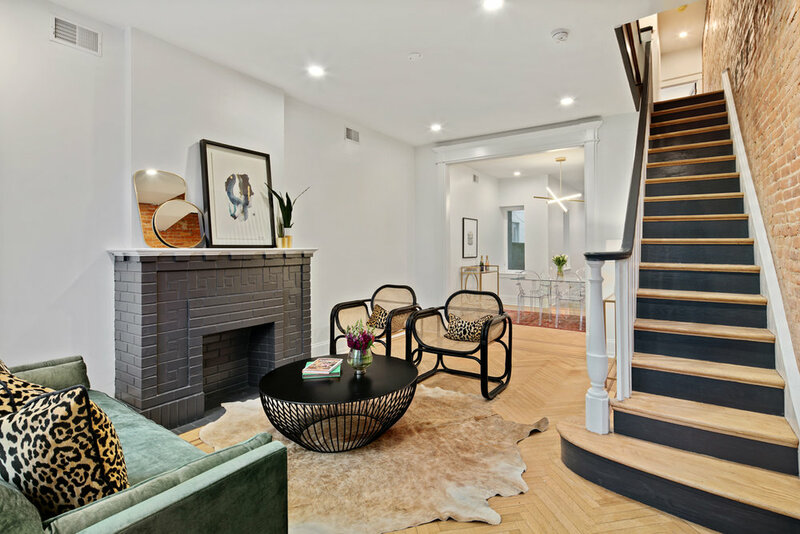 The Carrara marble hexagon tiled entryway makes a grand and welcoming impression and the painstakingly restored white oak herringbone hardwood floors throughout the first floor add an element of preserved history. 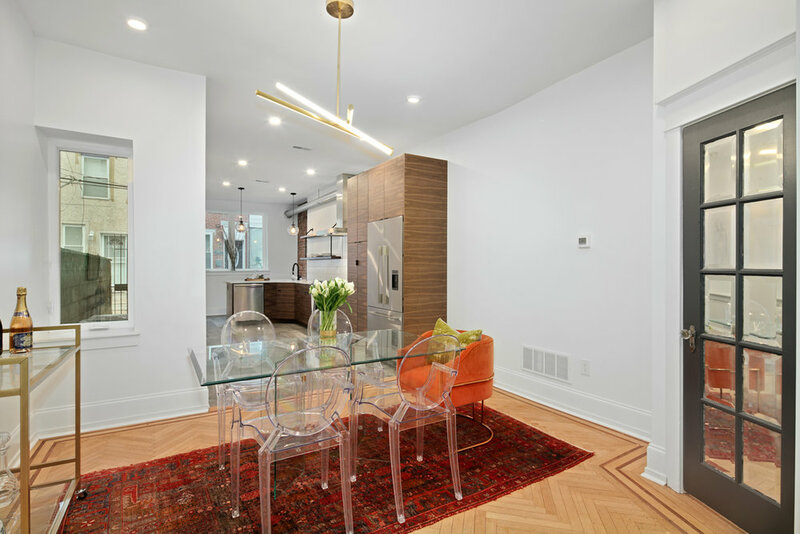 The formal living room boasts a decorative fireplace anchoring the room and the dining room with a mid-century modern chandelier easily seats a dinner party of eight. 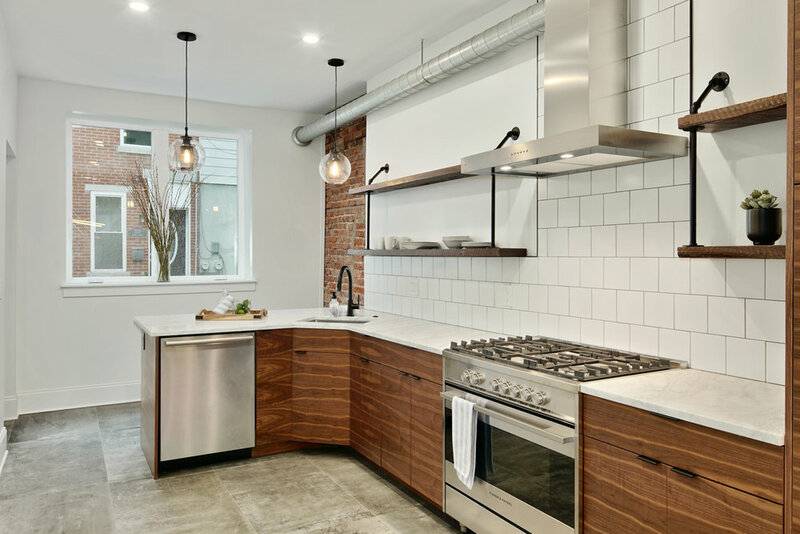 The spacious, masterful kitchen is a chef’s dream featuring custom grain matching Walnut cabinets, Fisher and Paykel appliances, honed Carrara marble countertops, concrete tile flooring, exposed brick and reclaimed Walnut floating shelves with industrial touches. 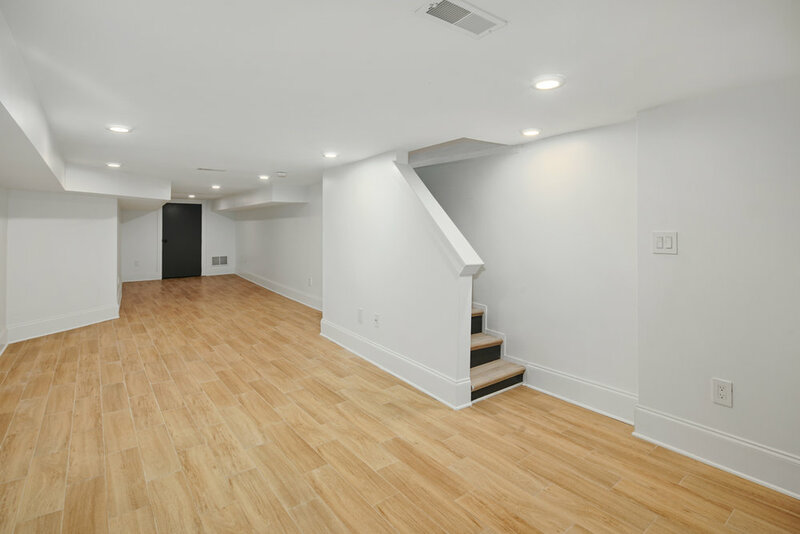 The finished basement with Porcelain tile flooring and a half bath adds additional, less formal living space. 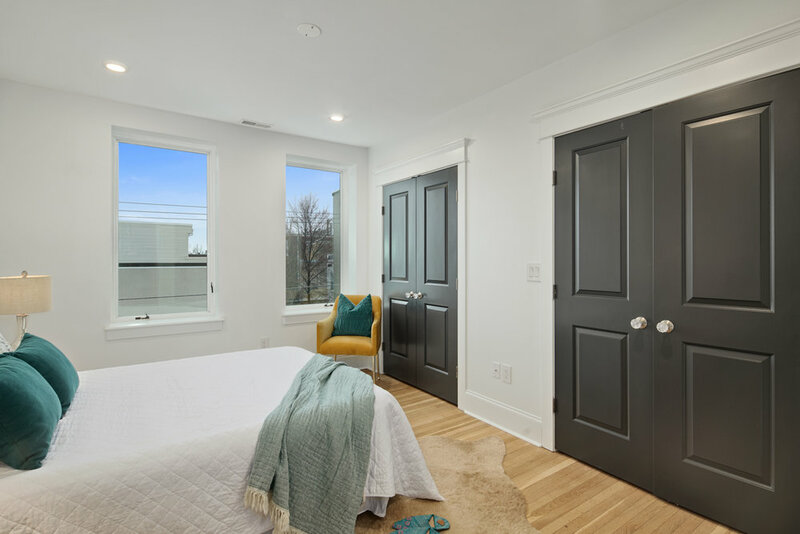 On the second floor find two bedrooms, one with its own private terrace and the other with an en-suite bath with matte white penny tile flooring, a modern floating vanity and grand shower with sleek matte black Delta fixtures. 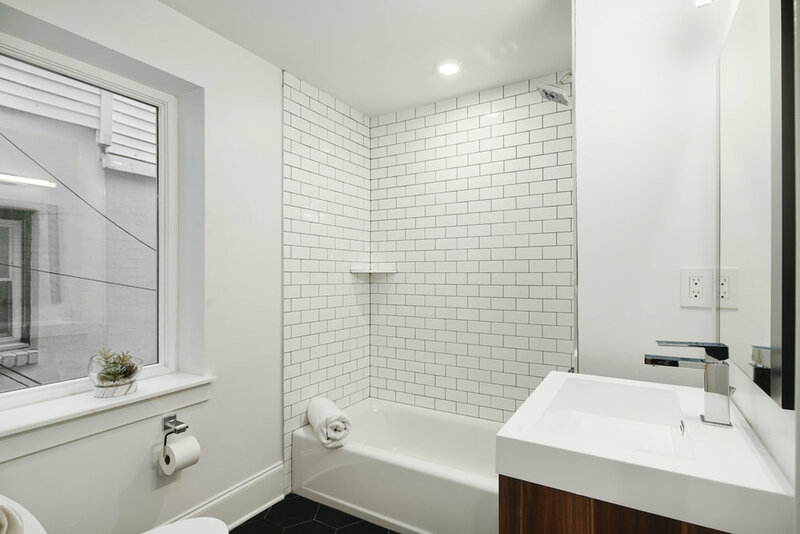 A laundry room and a hall bathroom with black hexagon tile flooring and a classic subway tile tub surround, round out the second floor. 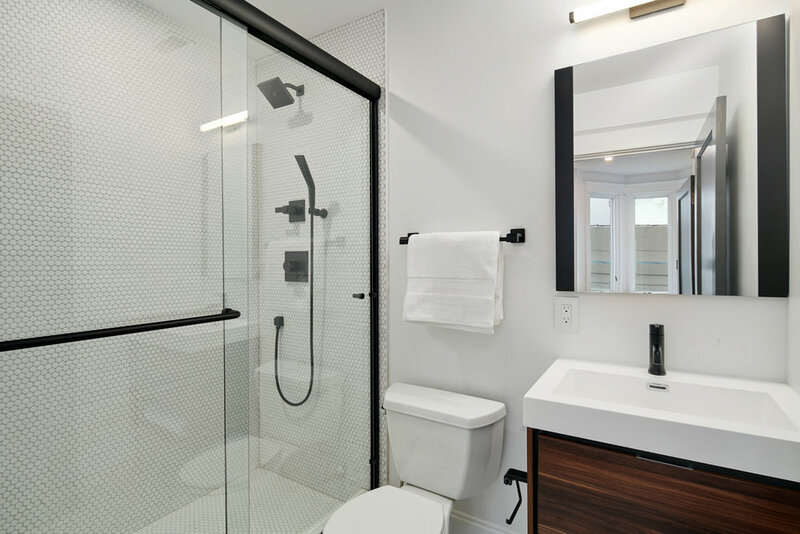 The crowing jewel of the home is the third floor sun-soaked Master Suite with large closets and a spa-like bath with a modern floating double vanity with Delta fixtures, matte black tile and a stunning frameless shower with delicate rose gold Kohler Purist fixtures. 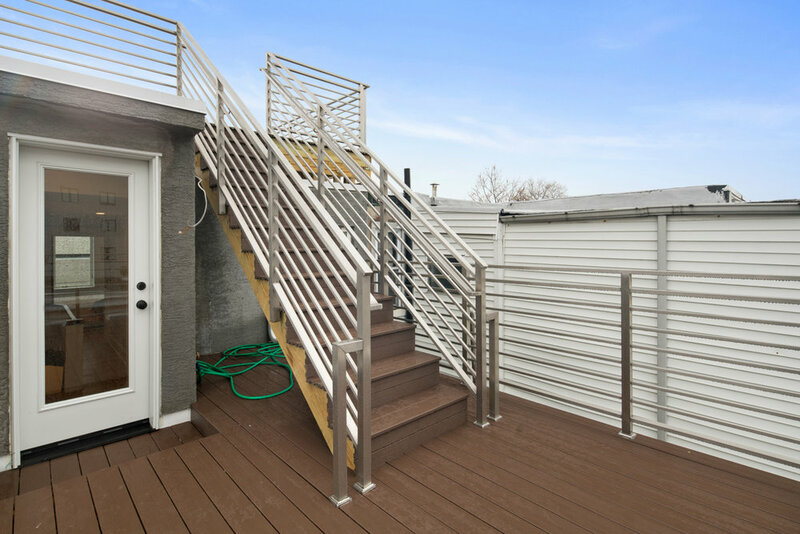 In a neighborhood where private outside space is coveted, this home will not disappoint. 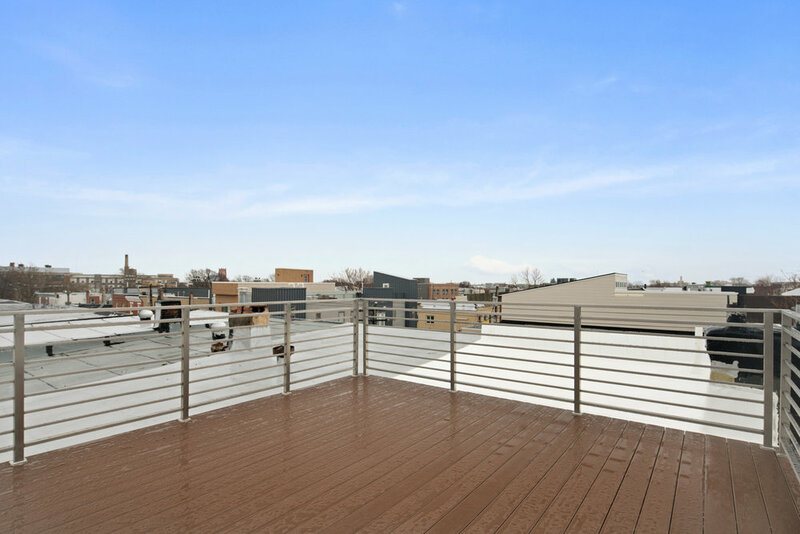 The magnificent two-tiered composite roof deck is spacious and perfect for entertaining and dining al fresco while taking in the magnificent view of the city’s acclaimed skyline. 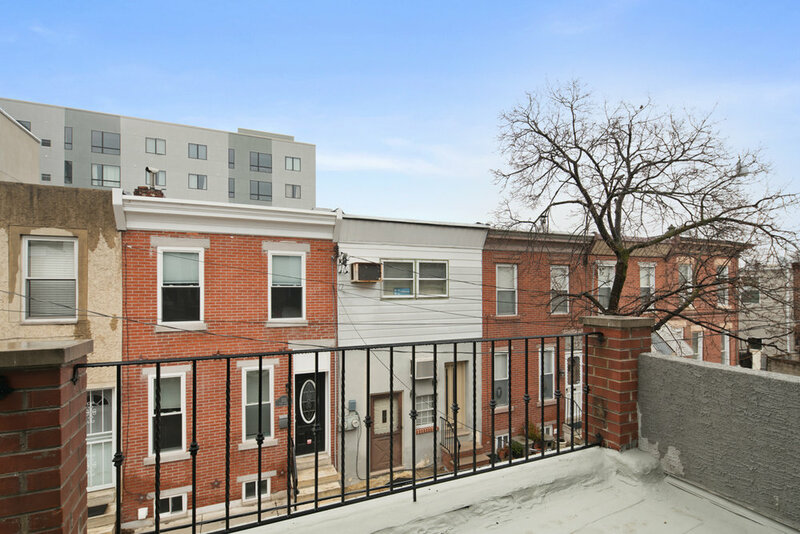 Located within the Andrew Jackson school catchment and boasting a 10 year tax abatement, this home is a stone’s throw from public transit and Passyunk Avenue, recently named one of Food & Wine magazine’s 10 Best Foodie Streets In America. 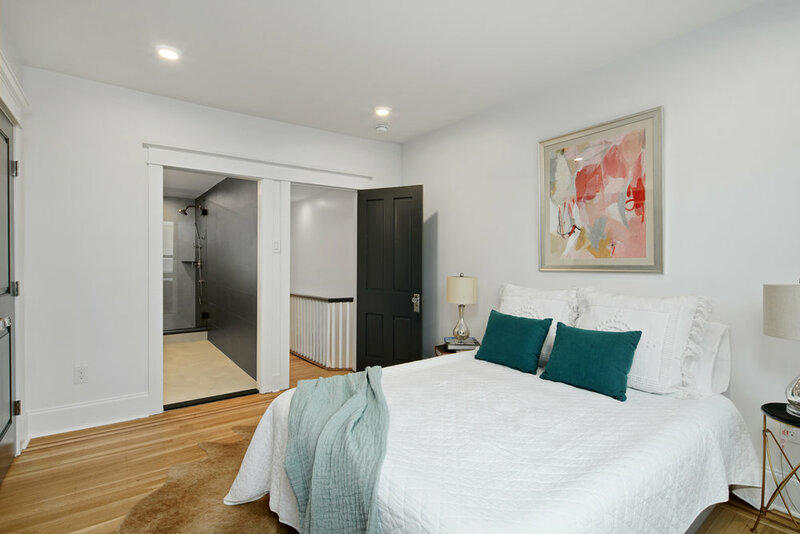 This spectacular home offers the most discerning buyer a glorious melding of old and new, formal and casual, practical and luxurious. Welcome home.